Ashton Hands Over the Twitter Reigns: What Now? Some of you may have seen on your news feeds that Ashton Kutcher aka @aplusk is relinquishing the management of his Twitter account to Katalyst Media. I heard about it on What’s Trending. If you really care what Ashton Kutcher has to say about news topics, you may need to reevaluate your priorities, but that is besides the point. Ashton has since apologized for tweeting some misinformation about the Penn State scandal to his followers. The real question now is whether or not Kutcher should have given the reigns over to someone else? After watching the backlash of various celebrities like Gilbert Gottfried for their tweets, Ashton is better safe than sorry. This time, a simple apology seemed to have worked but everyone is vulnerable to a slip up from time to time. What happens if next time his comment is viewed as racist, antisemitic, homophobic or sexist? That’s only cool if you are a Republican presidential candidate. Right or wrong, actors are held to a higher standard and need to be conscious of their words. Ashton is making the right decision to secure his roles in future productions. By handing over the reigns of his Twitter, Ashton has given up what it was that makes Twitter awesome. When someone tweets a celebrity, they are not-so-secretly hoping to get some sort of reaction out of their beloved star. Knowing that a third-party is tweeting for Ashton could take a little wind out of the sails of every 16-45 year old woman who tweets @aplusk ‘on the daily’. Even worse, if it doesn’t hurt his following, other celebrities with opinions may choose to follow suit, save Ricky Gervais. What happens when Twitter is no longer a medium where you can get the attention of and interact with those you follow? Is it really Twitter anymore or does it turn into a branded Facebook status? I don’t know but I don’t think that any of us want to see an opinion-free, bland Twitter. When the celebrity dies, the brands continue to live. Even a complete loss of celebrities will not kill Twitter. 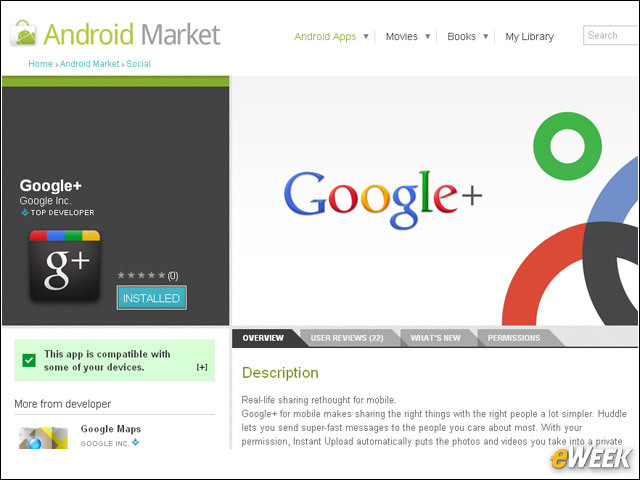 It has become more and more brand-friendly over the years and companies have started using it more effectively. Digital/Viral celebrities will never leave. However, Twitter will be poorer if it loses the honest tweets of our Pop Culture Heroes. Besides, a tweet can be deleted and apologized for. Just don’t let anyone catch your rant on YouTube or audio…cough…Mel Gibson. If all else fails, take a page from sports icons. It takes one great piece of work (championship) for everyone to forget about the most heinous of crimes. Just ask Ben Roethlisberger, Ray Lewis or Kobe Bryant how much can be forgotten and keep tweeting. November 16, 2011 | Categories: Social Media | Tags: Ashton Kutcher, Branding, Celebrities, Facebook, Katalyst Media, Public Relations, Ricky Gervais, Social Media, Twitter | Comments Off on Ashton Hands Over the Twitter Reigns: What Now? I have been a proponent of Klout long before the +K boom. Months ago, I even wrote an article as to why Klout was going to be huge. Today, I am officially removing my support. Furthermore, I will be one of the first to declare that Klout’s role as ‘the standard for measuring influence’ is on the decline (even worse than the Klout scores of positive influencers since Klout’s update). Here is why. It has been pointed out by many other bloggers that Klout rewards spammy activity. If you don’t believe me, look at the Klout score for @TeamFollowBack who is nothing if not a spam service. Social influence was not meant to be measured by the ability of one to obtain followers without engagement or interest. At its core, social influence is the ability of one person to affect the thoughts and choices made by their community, and the ability to grow that community organically. As mentioned in another social media blog by Jure Klepic, Klout has said that their goal is to be more transparent with their updates. Where is that openness? It’s a fair question and one that has been asked by multiple people with access to Megan Berry and the gang. When confronted, Klout referenced that Google doesn’t share their algorithm with the world. You’re right, Klout. However, Google doesn’t rank something that affects us on an emotional level. Only SEO specialists like myself are slightly hurt when my page drops a few spot on Google’s results. Saying that someone else was doing what you were doing doesn’t work for getting out of a speeding ticket. It doesn’t work when you were trying to get away with talking in 3rd grade during a lecture, and it won’t work now. Many of the other bloggers that I read were very excited about Klout months ago. 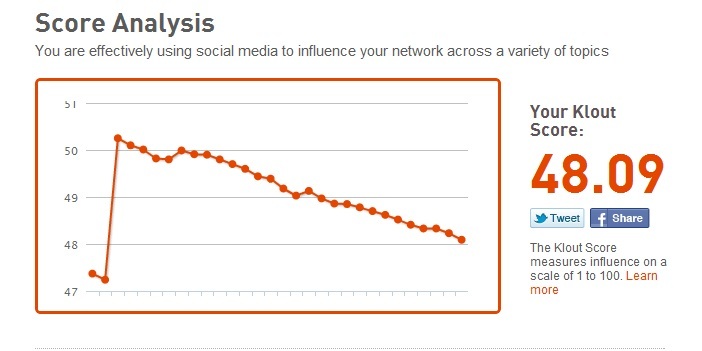 I wrote an article myself about Klout’s destiny for greatness. Now, I am swallowing those words. Klout has proven itself to be a poor listening device as it has been known to make users “Influencers” in peculiar areas. (Guess who is influential in Diarrhea.) Furthermore, the base of Klout’s loyalists seem to be the ones that were hit the hardest with the latest update. My mom doesn’t love me any less because my Klout score is diving worse than the national support for big banks, but that didn’t stop be from throwing a fit like a toddler who was just told, “No more cookies!” You never want to mess with the base of your support system and Klout has done just that. Klout scores are not some arbitrary ranking system like Google or Bing. It is not a measurement of how large your following is (or wasn’t supposed to be). It was said to measure the weight of a person’s words, thoughts, ideas and beliefs. What’s more personal than that. You are putting a number to a person’s value when it comes to affecting those around them. To be told day after day that your words are losing their power over those around you, as more people flock to your soap-box, is unacceptable. It attacks people more personally than any other site or service can. When you attack users personally, you need to explain why. People will only get hit in the gut so many times before removing the blindfold and demanding information. I allude to this idea in many of my posts because that is the ongoing truth of the internet. If you do not meet the needs of the masses, you will fall. Like Ra’s Al Goul from the Batman comics (just got done playing Arkham City), somebody is watching Klout fail to meet the needs of the social audience and is rounding up the troops to sack the metaphorical city. Will it be PROskore? I do not know. What I do know is that people are looking for a way out. As it stands, despite the drop, my score is equal to that of Ad Age Stat and I’ll take solace knowing that I am on the same level as another highly underestimated tool on the net. If you are as displeased as I am with Klout, tweet this article to the rest of your community with the hashtag, #OutWithKlout. Perhaps, they will hear our collective voices. Will it matter? I don’t know. Occupy Wall Street hasn’t changed much other than the topic of small-talk and a few bits on the Colbert Report. First of all, if you are hiring any sort of digital media expert these days without rounded experience, proceed with caution. Everyone needs experience but that’s what internships are for. When you decide that you want to optimize your digital presence, you need to seek out TRUE professionals and true professionals understand that no one digital outlet truly lives on its own (See article about Clueless Marketers). If you’re trying to look for an exception, your head is in the wrong place already. Search Engine Optimization and Social Media are two outlets that have consistently been moving closer and closer to each other.The most basic of these reasons is linking. Ethan Lyon of SEER Interactive has written multiple articles on how to build links with Twitter. (Twitter Backlink Article 2) Links can also be posted on a variety of other websites and I don’t know if you’ve noticed recently but YouTube, Facebook, Twitter, Tumblr, Google+ and the rest of the gamut all have TREMENDOUS Domain Authority. I have mentioned the idea of social link integration before and it is only becoming more and more essential. Besides the linking capability, social media drives traffic to your site, not only from YOUR page but, from pages that you link to on social media. If you aren’t utilizing other brands in your marketing efforts on Social Media, you should. After that, use the partnerships that you’ve made to direct traffic to your site. It’s free and, if you cultivate the relationship with their SM team, they will lend credence to your link by commenting, liking or retweeting. If you need a lesson in relationship marketing, check out Doug Ridley‘s Relationship Marketing Blog. The bottom line is that users are driven to social media and your dot com presence you experience you in different ways. Social Media allows you to better tailor what you need to post on your site. If it doesn’t pertain to the keywords that you are working for on SEO but could still be relevant to your target audience, direct them to your social media outlets. Tease social media with technical information then, direct them to your internal pages. As social media experts, we still have so many things that we forget to do on a daily basis. Now, I could write a separate 1,000 word article on each of these topics but I have a growing fear of causing myself injury from typing too much on a daily basis. So, without further gilding of the lily, here are 5 things that “Social Media Experts” forget to do. In case you didn’t have the privilege of Melissa Burnett teaching your Creative Marketing class in college, I’ll give you a quick rundown. A fundamental element of every marketing effort should be to drive your customers to ALL of your other channels. That’s where ‘Integrated’ comes in on our business cards and agency taglines. If you’re doing a print campaign, make sure that it matches your digital campaign and has call outs for URL’s, usernames and appropriate hashtags. It seems like a fundamental idea but, if you look through your magazine collection atop your toilet, you’ll notice that many people forget such things on the regular. If you’re running TV spots, don’t forget to direct people to finish the story or join the discussion on social media and/or your dot com. One of the best instances of this was Right Guard’s “Love in the Shower” campaign that had great results on a limited budget. They had those results because of a solid integrated campaign, orchestrated by Defero. Being quirky, funny and moderately entertaining is great but it doesn’t justify a budget spend. You need to establish what your social media will do. A great place to start is by establishing the value of a Fan, Follower, Subscriber, etc. For a previous client, I did this with the help of John Marzolph. We established a Facebook Fan value for a skeptical customer. On a side note, our own research came to almost the exact same conclusion as Syncapse’s research did 2 months later. After you establish a value, establish analytics that will prove the success of your campaign. If you have a high value, gaining more people is a good place to start. Visits, comments, new followers, and a bunch of other statistics are telling but; don’t forget to use more complicated analytics that show how your social media actually caused a consumer to act. Place a value on social media specific coupon codes. Check the Google Analytics on your site to see if people are coming to your dot com from Facebook or Twitter. The more complex the campaign, the more key performance indicators you should build in. Otherwise, your success could be attributed elsewhere. 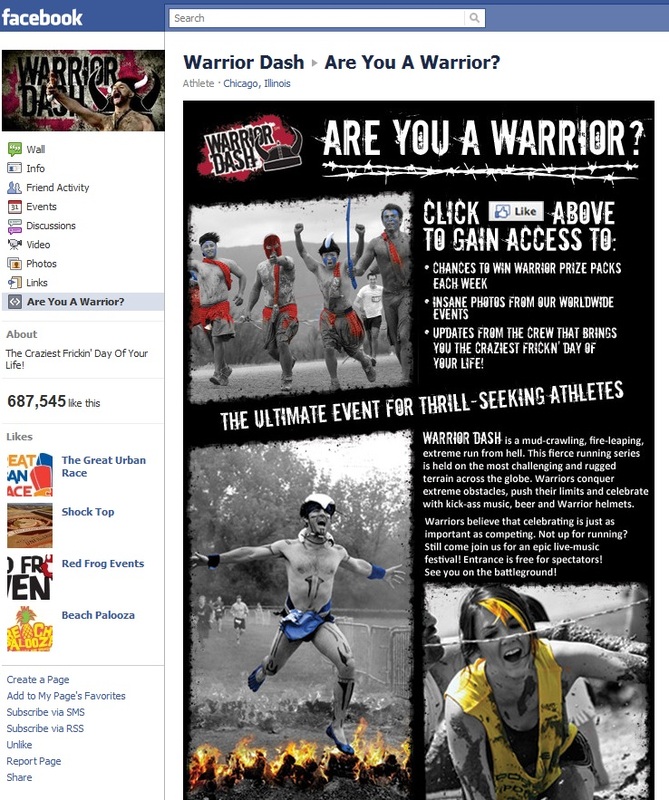 This is the kicker that takes a social campaign to the next level. All of my favorite social campaigns have a touch of reality in them. There’s not one set way to do this either. One company created a hangover monster and used it as guerrilla marketing. As the monster terrorized parties all over, the companies brand grew. Another company recently used a digital tip jar that only acted when you Liked them on Facebook. The Gran Turismo video game franchise constantly has test drives and races that integrate digital with reality. 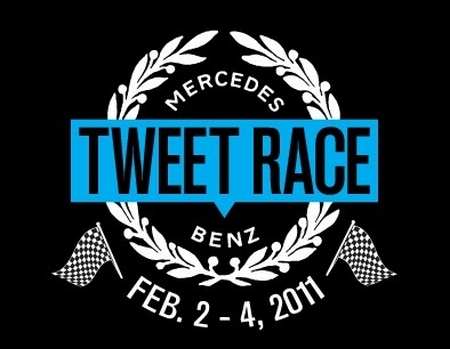 Mercedes Benz had a social contest where your tweets actually fueled the car of your driver in a distance race. There is no one way to integrate the reality and social media but creativity is constantly being rewarded and UGC components are rarely a bad idea. This is the most important step and should never be done all at once at the end of the campaign. Build a system where you can constantly grade your progress at least once a week. Use your key performance indicators to create a list of goals that you’re looking to reach and see how you’re progressing towards them. If you have the ability, I like Shoutlet as a Social Media measurement provider. I think that they’re management team is one of the best and brightest in the game and that you’ll find their services useful. Lastly, don’t be so stubborn. After you’ve ‘Stayed the Course’ through a few storms, be ready to adjust a little bit. Flexibility is key in a market that is fickle at best. If you missed the target a little bit, don’t ride that out until your contract is up. Prove that you’re an expert who can take responsibility when something goes wrong and evolve. If you evolve and come back with a strong showing, your client will trust you to continue that trend despite a slow start in the next round. Whatever you do, just remember to only promise what you can deliver and then deliver those results. Socrates said that the unexamined life is not worth living. Consider every social media campaign you do as a new life. Examine it. Oh, and be original. Originality is always respected even though it is not always accepted. This weekend, I was introduced to a new social media site that is quickly gaining traction around the net. It has been around for a little while now but I doubt that I am the only one who hasn’t heard a lot about it before now. The site is called Pinterest. A quick view of the UI reminds me of a much more organized and much less seedy version of tumblr. I’m sorry tumblr but we both know the truth. Pinterest is a site that allows users to share things that they find from all over the net in a conveniently organized, chaotic way. You can browse the site by different categories and look through pinned pages of content relating to that category or tag. The interesting thing is that not only is this chaos easy to navigate through, it’s easy to organize. You can have multiple boards for multiple interests. If you’re looking for wedding ideas, you create a wedding board. If you also happen to love crafts, you create a craft board. 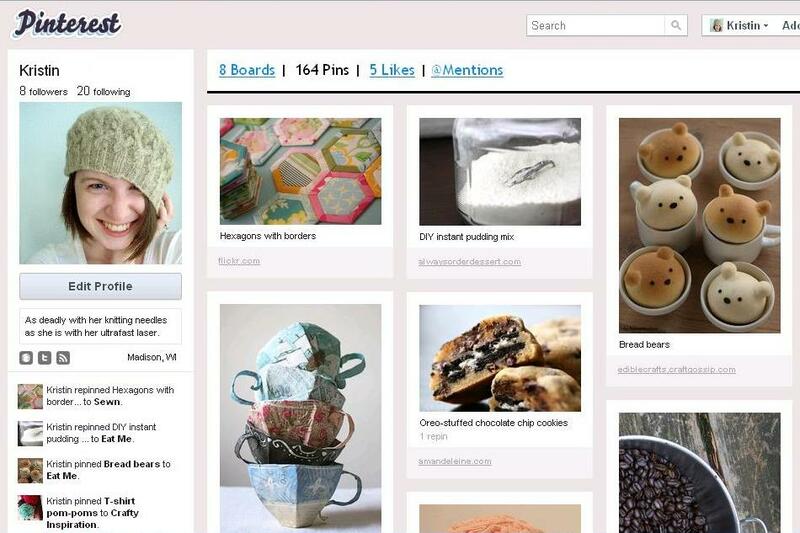 People can see and follow any of your boards much like you can follow a tumblr blog or a Twitter account. If you don’t always want to go on Pinterest dot com, you can use the handy Facebook app that integrates the two sites. Although I’ve found finding user statistics difficult thus far, my preliminary answer to that question is women. Women love this site. My girlfriend and her friends have spent hours on it already starting their boards for wedding stuff, classroom ideas (they’re teachers) and home decorating thoughts. The simple UI has made even the least tech-savvy of her friends happy. The bulletin board style that they can scroll through is much more visibly friendly than a linear feed like in Facebook, Twitter and tumblr. As more is released, I will update my information but this is a big deal if you’re select market is mostly female. Like I said, if you’re target market is female, you need to start caring. While I couldn’t find the usership stats yet, I did find out that the Facebook Application is growing at a tremendous rate. 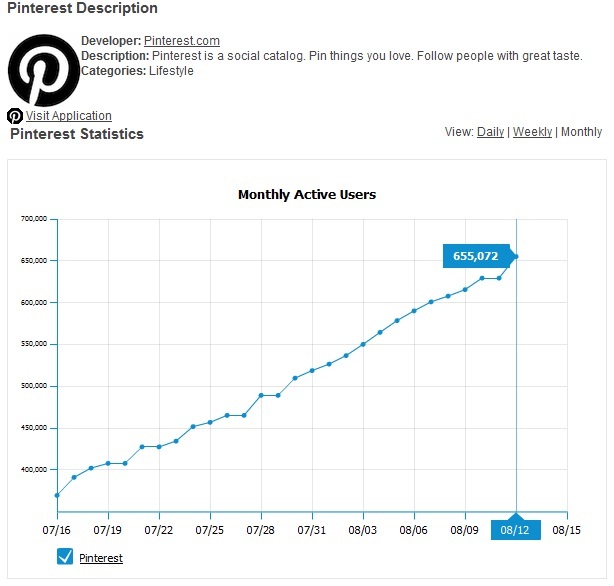 People are loving their Pinterest and are eager to share it. If your target market isn’t women, consider building a site with a similar look and feel. I would have found myself on Pinterst already if there was a popular category for musclecars. It would be a great way to decide on what I want to see in my 68′ RS Camaro that I’m building. Long story short, do not underestimate this site or it’s UI implications that could reach far beyond. As always, glad to see that you stopped by my blog and I would love to hear feedback from any of you on here, on my Twitter or in my email inbox. Good luck and happy #TrendHunting. The Rock vs. Shaq: Old Spice Part Deux? Old Spice changed the game when Isiah Mustafa started answering questions from Twitter followers and YouTube subscribers via short videos on Old Spice’s YouTube channel. Then, in their recent duel, Isiah Mustafa and Fabio challenged each other via videos and then repeatedly attacked each other in a series of videos whilst answering questions from incoming fans. A few days after the Old Spice duel ended, I saw an update on The Rock’s Facebook Page about his response to Shaq’s challenge on Tout. I went to the Rock’s Tout page and saw his humorous response to a less humorous post by Shaq which Shaq posted in response to the Rock’s open Tout challenging his followers to send in their best “Do You Smell What I’m Cooking?” eyebrow. Now, this could be a coincidence that these two celebrities have decided to interact with each other but I doubt it. For one, they’re both managed by Digital Royalty. Two, those two profiles in addition to Amy Jo Martin’s profiles are three of the featured profiles on Tout. Three, do you really need a third point? The real question is whether or not this will work. With only 5,000 followers on Tout for Shaq and 500 for The Rock, could this message possibly amplify enough to make Tout a more legitimate platform? I don’t think that it will. With their impressive client base, Digital Royalty will always be able to make an impact on the social media universe. Still, with people struggling to split time between Facebook, Twitter, YouTube, LinkedIn and now Google+; I just feel that Tout will fall by the wayside for a while along with VYou and other interesting platforms. I could be wrong. What happens next? That’s for the consumer to decide. 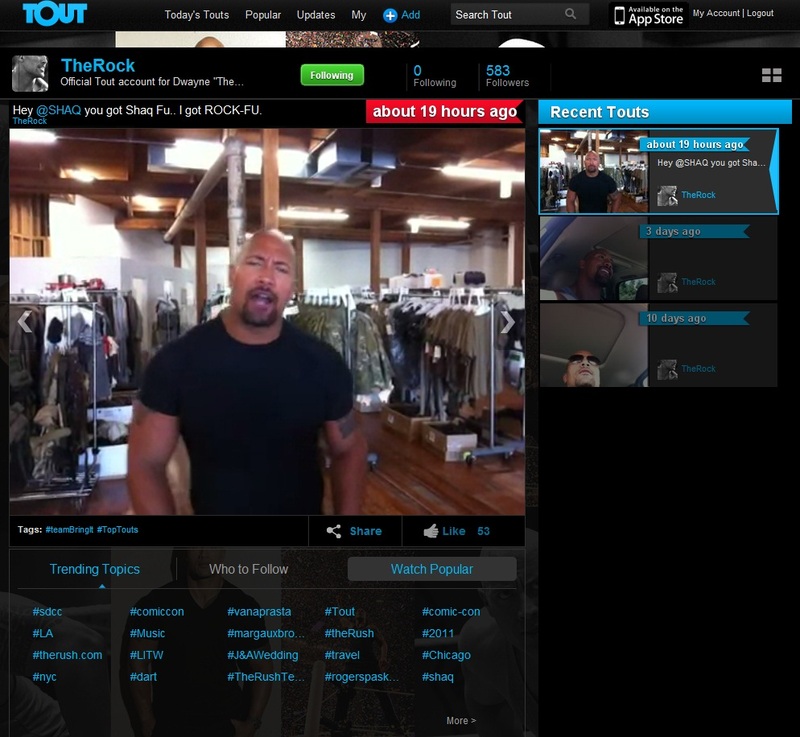 August 3, 2011 | Categories: Social Media | Tags: Digital Markeitng, Digital Royalty, Old Spice, Shaq, Social Media, The Rock, Tout, Youtube | Comments Off on The Rock vs. Shaq: Old Spice Part Deux?